I found this today as I was reading Titus. Read vs 2-3 carefully. 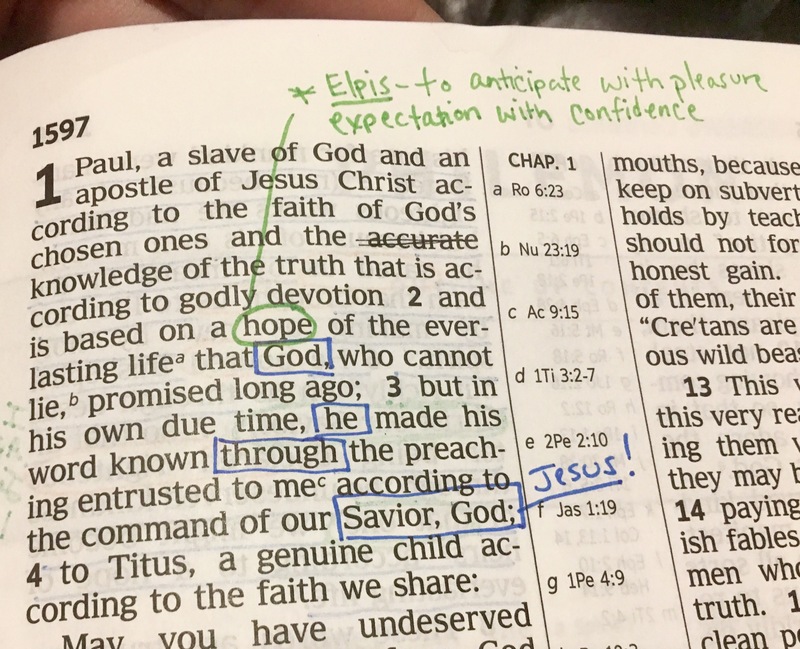 Paul is talking about God…who made his word known… according to the command of who? 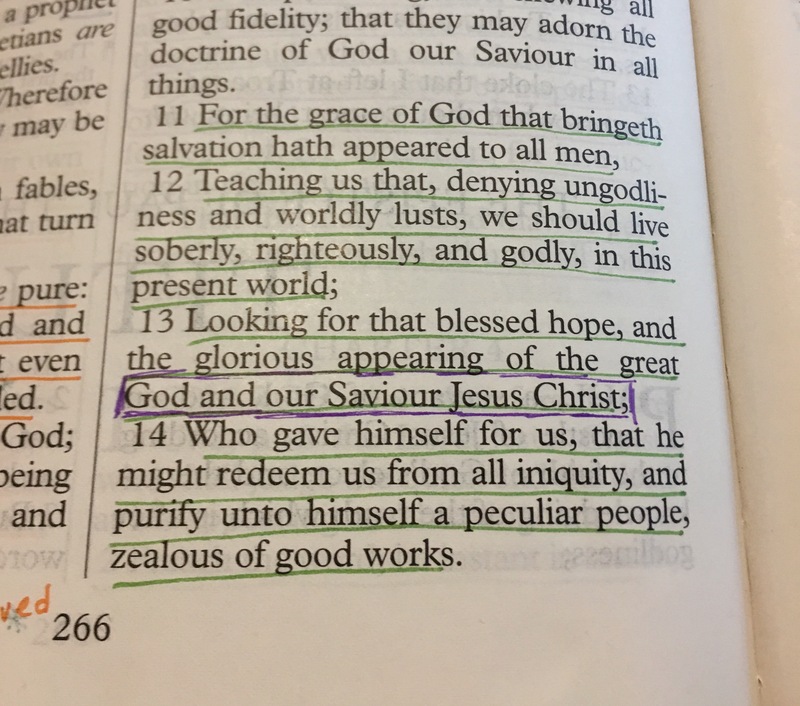 If we continue reading in Titus, we come to chapter 2 vs 13 where Jesus is called God again. But this is the King James Version. What does NWT say? 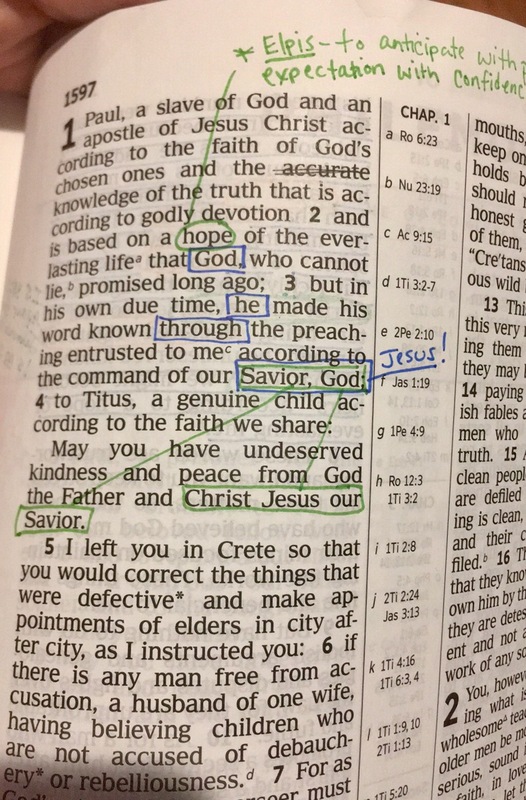 So they added the word “of” to the text to try and separate God and Christ our Savior. (I checked Bible Hub and no other translation adds “of”). Why would they add a word that changes the meaning and doesn’t exist in the greek? The same reason they add words and twist sentences in other places. To uphold their unique JW doctrines. None of the other translators have to do this. But let’s further look at the evidence in the context. First, who do Christians await the manifestation (or the coming) of? Jesus, right? I know of no scripture that says we look for God the Father to manifest to us in a future appearance. It’s only Jesus. Next, The pronoun “he” ,not “they” is used to refer back to God and our Savior Jesus Christ. 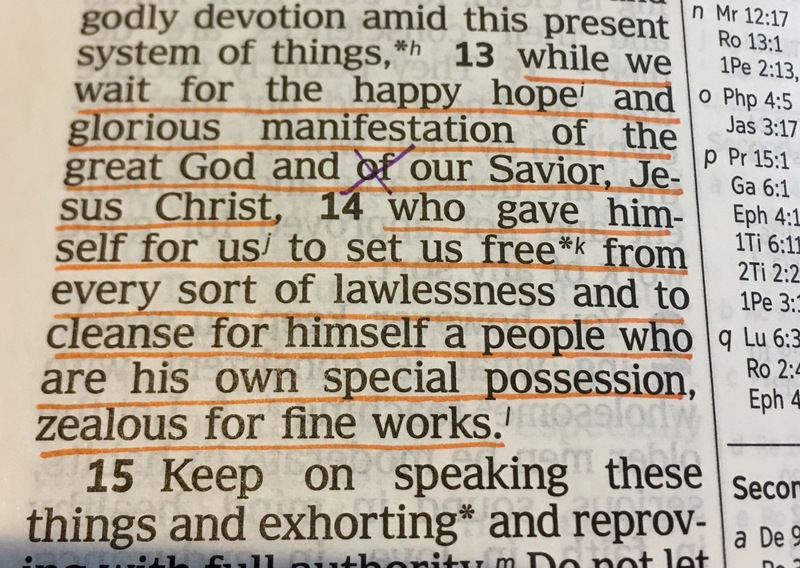 Here’s “God our Savior” again…but this time it’s not talking about Jesus. What? Well Here, “God our Savior” saves us by the mercy and regeneration of the Holy Spirit which he shed on us THROUGH Jesus, so it has to be speaking about God (the father). So doesn’t this defeat my initial point? 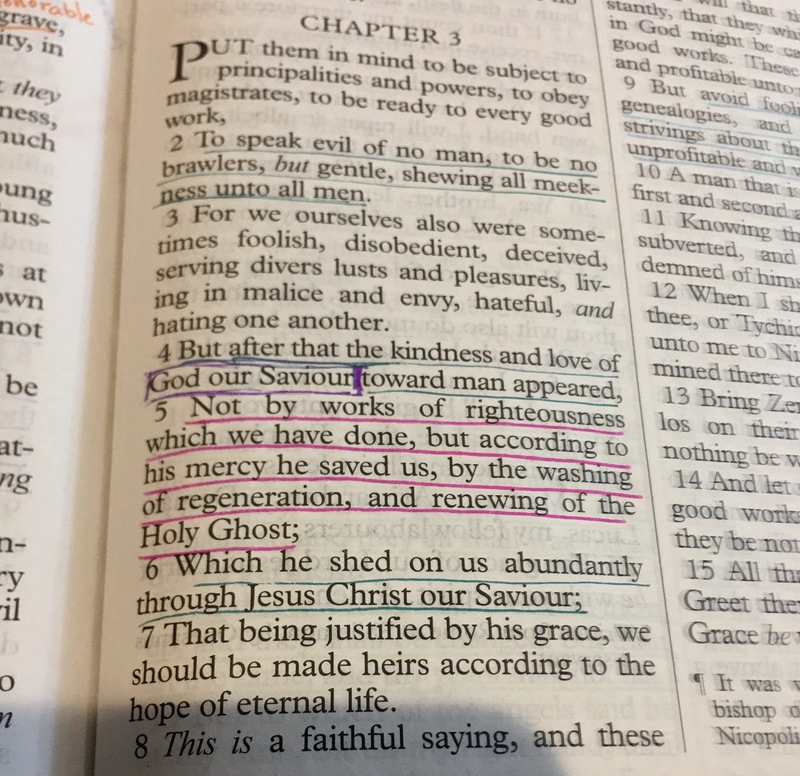 The ending of this verse proves that the “Savior God” refers to God (the father) just as the end of Titus 1:3 proved that our “Savior God” referred to Jesus. This causes them so many problems for them. Problems that require them to change the text in a zillion ways to point it toward their doctrines. Trinitarians can read this with no problem because Yes, God is the savior. And Yes Jesus is the savior. And Yes the Father is the savior. And Yes. The father is God. And Yes Jesus is God. And Yes. There is only one Savior. And Yes. There is only one God. Previous Post Jesus the only direct creation of Jehovah? Well done once again, Wordgirl! As I talk with JW’s and view videos of conversations with them online, they’re now often using the phrase, “this teaching is a problem for you, but it’s not a problem for me.” We can turn that around on them, saying that the trinity doctrine is not a problem for us because of these verses, where both the Father and Jesus are savior, and there’s only one savior. 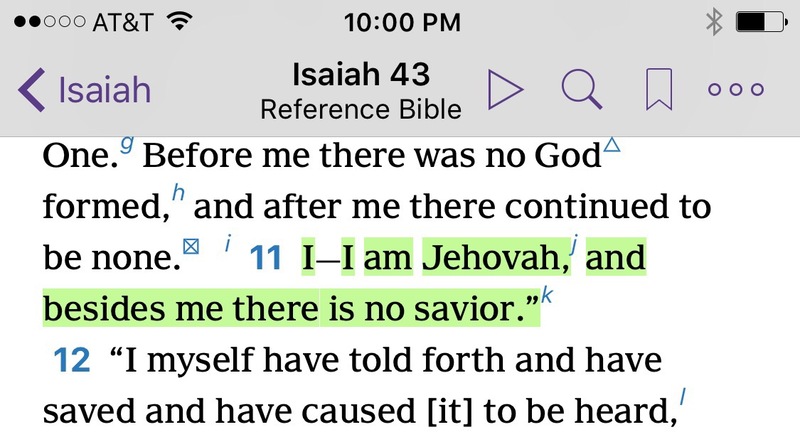 Isaiah shows that there’s only one creator, also (Isaiah 44:24), but “we don’t have a problem with” both Yahweh and Jesus being the one creator. Exactly! I’ve been using that phrase since I started as I realized early on that the New Testament is full of problematic verses for those who don’t believe Jesus is God. But trinitarians have no trouble with those passages because we know that God is plural while being one. It’s the idea portrayed in the word “echad” which is the word that means “one” in the shemah. The Lord is One. This is one of 3 hebrew words that mean one. But it’s the only one of the three words that mean a plurality among unity such as the slices of an orange, or many people being “one people” or husband and wife being one flesh etc.